Based in Durham, North Carolina, Nomadic Trading Company has been in business since 1995, selling handpicked home décor items from all over the world. 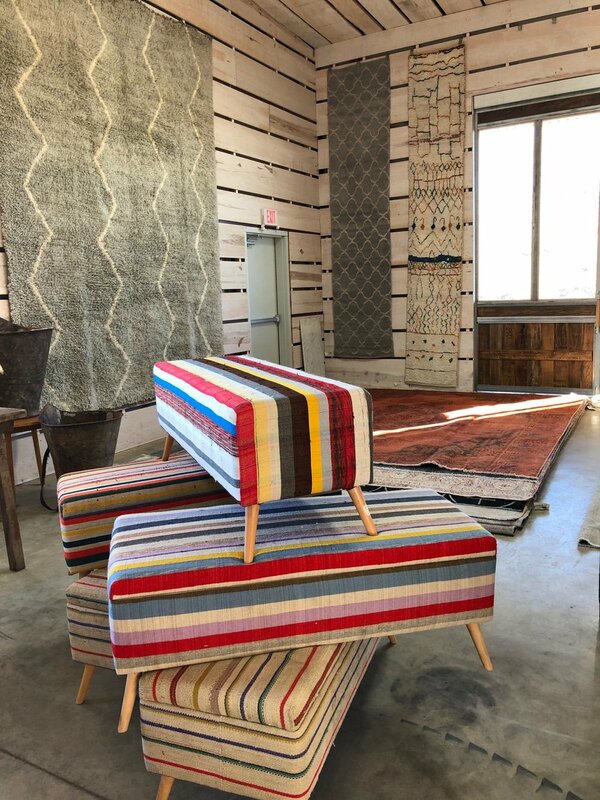 “We are importers of vintage furniture, accessories and hand-woven rugs,” says Demir Williford. Over the years, Nomadic Trading Company has grown the business to include its own line of products. On the recommendation of a colleague, they started coming to Round Top in 2009. Their set-up at Market Hill is quite impressive with large rugs covering the walls and stacked in piles upon piles throughout their vendor space. This kilim was hand woven in a village in western Turkey. It utilizes vintage reclaimed hemp and wool. Beautiful Spanish oak table from late 19th century. This rug is our own design hand-woven in Konya, Turkey. Fabulous collection of benches upholstered with vintage fabrics. 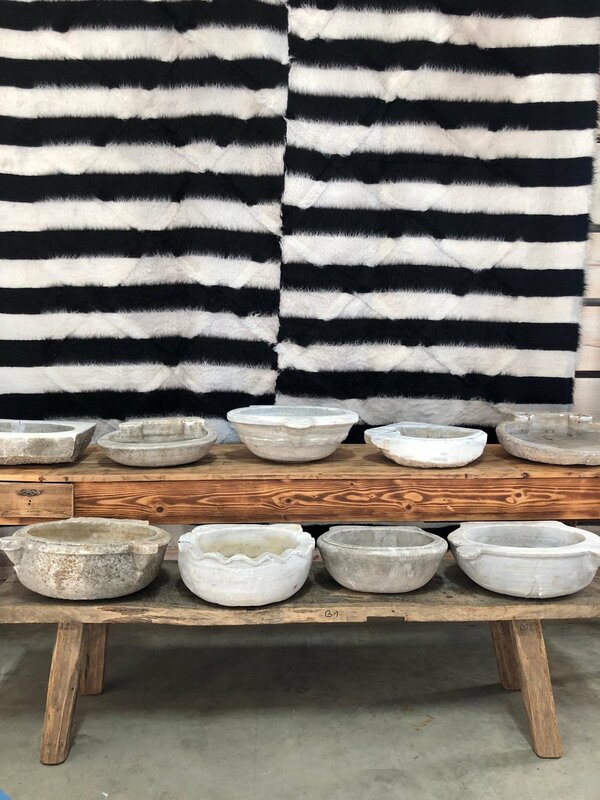 Fantastic collection of antique marble sinks from old bath houses in Turkey.